Because most chiropractors typically only sell their chiropractic practice once in their lifetime, there are many issues that affect how much income you will end up with after taxes on your chiropractic practice sale. 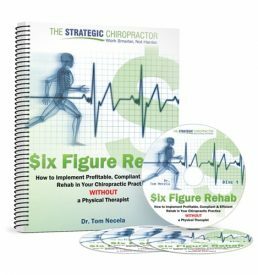 Of course, the vast majority of the focus in a practice sale tends to be on items like the purchase price, how much their chiropractic practice is worth, the value of their equipment, non-compete agreements and other items that are a vital part of a successful chiropractic practice sale. While these “front end” issues are certainly necessary and valuable, it’s also critical to allow adequate time and attention to plan the biggest “back end” item that will ultimately affect how much money lands in your bank account after the sale. And that very big “back end” item is how taxes will affect your chiropractic practice sale. Unfortunately, there is no amount of wrestling or wrangling that you can do to entirely escape the hand of the IRS which is waiting for its share of your purchase price. However, there are important considerations you need to plan for in advance that can help legally minimize the tax consequences of your practice sale. When selling a business there are a couple of ways it can be structured. They buyer can purchase the stocks of the company, or sell the individual assets of the company. In an Asset sale, the Seller is transferring the assets of the company to the buyer, but not the liabilities. This is an advantage to the buyer who not only is kept from satisfying the Seller’s debts but also receives a tax benefit for the property they are acquiring. Worse, the Seller is taxed twice: once on the corporate level and once on the individual level. On the other hand, with a Stock sale, the owner sells the shares or membership interest in the chiropractic business. The buyer gets both the assets and the liabilities at their current basis. The benefit to the seller is that unlike an asset sale the seller is only taxed once at the capital gains rate. Here, the challenge is obvious: under one sale structure, the buyer benefits more; with the other, the seller benefits most. You should also understand that the vast majority of chiropractic practice sales are structured as Asset sales. But that does not mean all hope is lost, because there are other tax considerations that must be examined in relation to your chiropractic practice sale. Because both buyer and seller are at odds on the tax treatment of the sale, it is very important to both establish a fair market value on the front end (that will result in enough income for the seller and a fair price for the buyer) AND asset allocation as a part of the sale. What exactly is asset allocation? The easiest way to explain asset allocation is that certain elements of what you are selling (goodwill, equipment, non-compete, A/R, etc) are taxed at different rates. For example, while the total purchase price may be $400,000 – that does not mean you take the $400k and multiply it by one tax rate. Your Goodwill may represent $300k of the total price, the equipment $50k, A/R is $30k, etc. And each of these items will be subject to either capital gains or ordinary income tax. Because of the various tax consequences of purchase price allocation, it leaves room for give and take between the buyer and seller. A buyer may be willing to pay more for a practice if the buyer is allowed to allocate more towards a tax favored item whereas a seller may accept a lesser purchase price if the seller is able to push the allocation towards lower taxed items. As every sale includes an Asset Allocation, this is definitely one item to talk about with your tax professional. With a 1031 Exchange, the IRS allows a taxpayer to exchange “business or investment” property for a “like kind” property without paying tax. There are requirements that must be met in order to facilitate a 1031 Exchange but the bottom line is that it is possible to structuring your sale to include a 1031 Exchange with the proceeds. Before you get too excited at the possibility of avoiding tax altogether, you should realize that the 1031 Exchange doesn’t permanently eliminate your tax burden because the business property or investment that you traded for may be subject to taxation in the present or in the future. But again, this may be a viable strategy to shield you from some taxes from your chiropractic practice sale that you should discuss with your tax professional. If you sell your building along with your practice, you have another to consideration to grapple with. 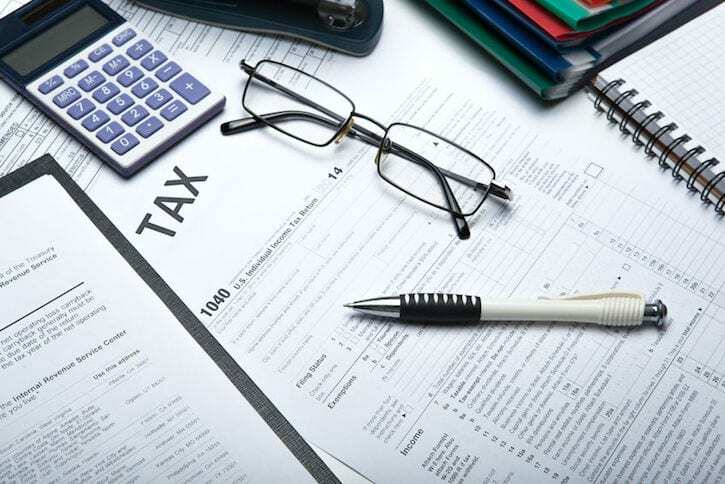 Many of these issues require an explanation of the various tax rates and capital gains that are assessed against gains and losses – and are beyond the scope of what we can cover here. But, if this is a possibility for you, talk to your tax pro early and often to minimize tax consequences of both of these sales (your practice and your building).. For additional thoughts on the topic, see our previous article: Should You Sell Your Building With Your Chiropractic Practice Sale? For those of you looking to transition your practice to a son or daughter, there is one more tax implication to ponder. Simply put: you should not expect to “gift” your child the practice to escape tax consequences of your sale as you may be in for a tax surprise. Similarly, even constructing “too much” of a bargain may set off the IRS alarm bells and create an unexpected tax burden to you. Again, look before you leap and contact your tax professional to steer clear of any trouble. 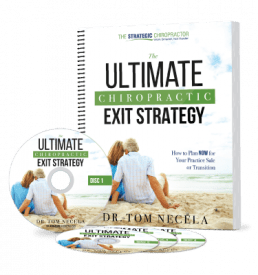 Need More guidance on your chiropractic practice sale or transition? Check out our upcoming FREE WEBINAR: Sell, Switch or Slow Down – How to Maximize the Value of Your Chiropractic Practice Sale & Minimize Costly Mistakes.